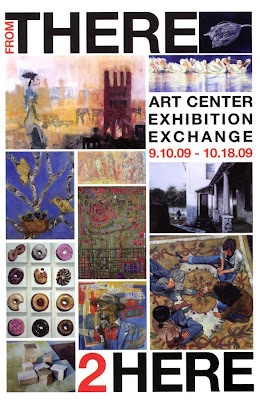 I'm excited to announce that I'll be participating in "From There 2 Here" an art center exhibition exchange celebrating the 35 year anniversary of the Torpedo Factory. "From There 2 Here" will feature ten fellow LibertyTown artists as well as artists from Goggleworks Center for the Arts (Reading, PA) and the Prizery (South Boston, VA). For more info, visit the Target Gallery.